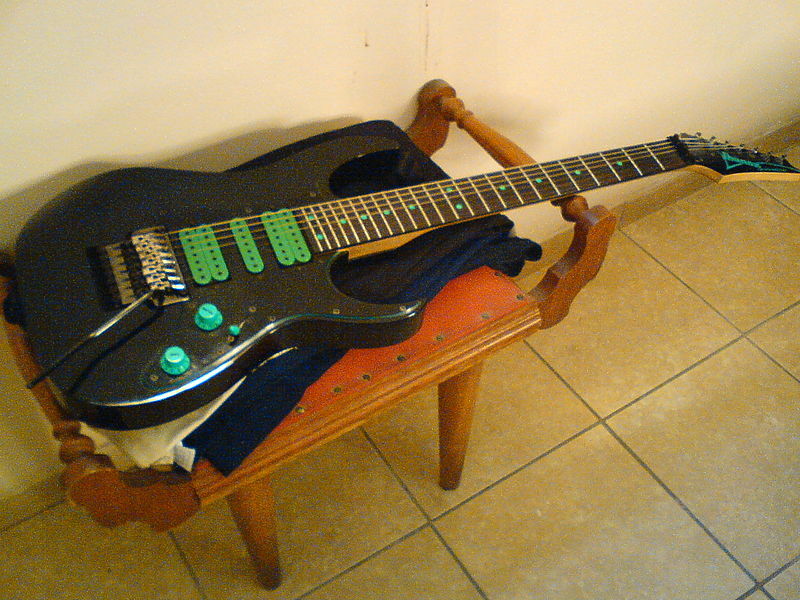 The best price for Steve Vai signed Ibanez Jem guitar. Ever since I showed him the picture of this (see below) gorgeous guitar made by Ibanez Jem, my son downloaded the picture from the Internet and pasted it on his bedroom wall with a note underneath it reading, “I would to cradle you one day”. He told me that his guitar master bought Ibanez jem at musicians friend last year and he was allowed to cradle it just for a few seconds and not allowed to strike the string. He was very excited that day. Since it is very pricey, he resolved to save money with renewed vigor. Without his knowledge, I used to stuff a few small notes in his wallet now and then so that he could realize his dream soon. When counted his savings yesterday, he was still short of $300. Way to go my dear son!